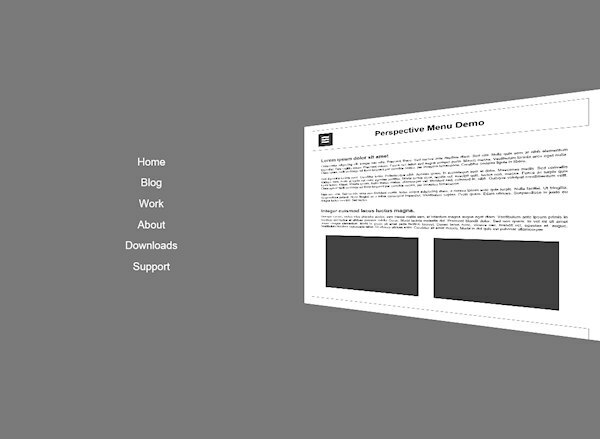 This extension is an experimental menu that uses CSS3 3D transforms to push the page away to display a menu. The menu can be activated by clicking/touching the ‘hamburger’ button. Note: Internet Explorer has limited support for 3D transforms, so it may not work as intended in this (out-of-date) browser.